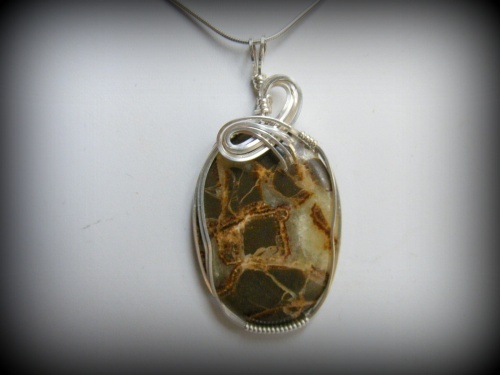 This beautiful Septarium gemstone, is wrapped with sterling silver curls that just make the piece stand alone in its beauty. Luscious caramel swirls accompanied with darker browns bring out the beauty of this gemstone, Piece measures 2 1/8" by 1" wide. Comes wth a sterling silver snake chain.